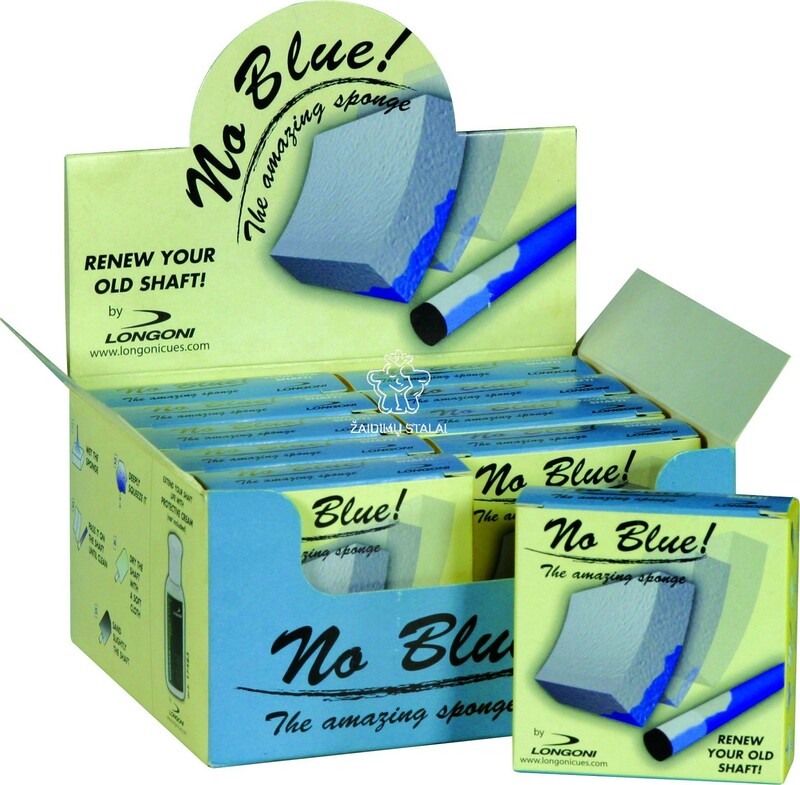 THE NO-BLUE SPONGE IS A LONGONI REVOLUTIONARY PRODUCT FOR CLEANING OF WOODEN SHAFTS. THANKS TO ITS COMPOSITION, WITHOUT ABRADING, IT REMOVES ALL PLASTER AND GREASE RESIDUES. THE SPONGE IS LIGHTLY INHUMID TO WORK. ONCE DRIED THE SHAFT WITH A SOFT CLOTH, IT IS ENOUGH TO QUICKLY AND QUICKLY PASS THE MICROABRASIVE MAP (INCLUDED IN THE PACKAGE) TO MAKE THE TOE SOFT, SLIDE AND CLEAN.